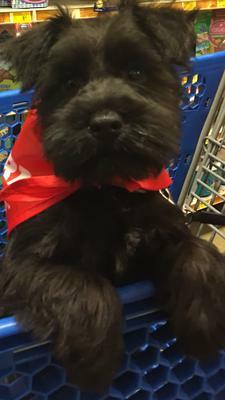 This is Cooper at 9 weeks old after having just received his first puppy trim. I got Cooper when he was 8 weeks old and let me tell you I was nervous and scared about becoming a pet parent of a puppy. I haven't had a puppy since my childhood. My journey with Cooper to this point has been rewarding for myself and my wife. Our cat Nemo is still trying to figure him out. She watches him from a distance but she comes over to him while he's asleep and sniffs him. SO BRAVE NEMO!!! Hahaha but it's progress. 19 year old son asked me if I had replaced him...jokingly...I said "yep I've already took him for his first haircut and doctors appointment" LOL!!! Cooper is such a joy and I'm so glad I decided to become a dad again. 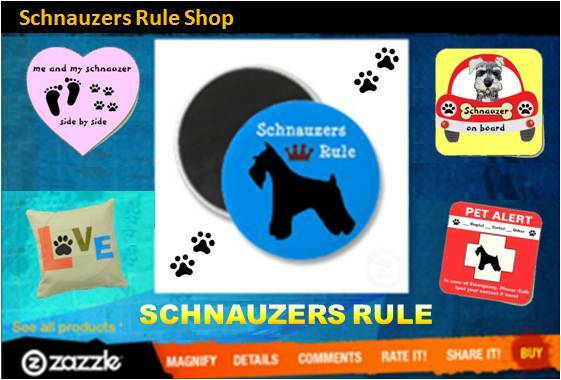 We have a black miniature schnauzer named Cooper too! He is almost three years old. I can tell you in advance that you are in for a world of happiness and joy! Our Cooper is the light of our life. Our 19 year old daughter thinks we have replaced her also. Cooper is really smart and loves to play fetch. He makes us laugh every day. I know you will love your Cooper as much as we love ours. OMG, that is the cutest little face. I too have a black schnauzer called "Cookie" - she's 2 years old now - and she's the love of my life along with Romeo (another miniature schnauzer) and he's 3 years old. They are the most amazing dogs ever and I don't think I could ever go with another breed now. I had two brothers prior to these little bundles. Thank you for sharing your love for Cooper. May you have many many many wonderful years together. Love love love. Just gorgeous! Schnauzer's are such a joy to have around. So playful and loving. Cooper is a handsome boy. Enjoy.